The Economics of Compassion: Can Cincinnati Wipe Out Debt by 2019? Cincinnati, Ohio, is among the fastest growing cities in the Midwest. It hosts corporate giants like Procter & Gamble and Kroger, and some of its close-in neighborhoods have become chic, with coffee shops and new condominiums. But prosperity is not trickling down to the poorest residents, predominantly African American, who are more likely to get displaced by the new condos than to own one. The difference in life expectancy between the rich and poor neighborhoods can be 20 years. It is in this context that the Economics of Compassion Initiative, a new interfaith effort in Cincinnati, is working to go beyond charity and hand wringing about poverty. The group is leading a citywide exploration of alternative economies “in which workers and owners share benefit, in which the community is enhanced and not harmed … marked by justice, community and relationship.” The group supports cooperatives and is exploring ways to finance local enterprises. But its main focus is to declare a “Jubilee Year” in Cincinnati that would forgive the debts of the poorest by 2019. Author and Cincinnati resident Peter Block is heading up that effort, which is based on Jubilee ideas of the Old Testament referenced by Christians, Jews, and Muslims. The Jubilee year in the Old Testament was a time for forgiving debts, freeing slaves, and returning land. The work of the Economics of Compassion Initiative is inspired by one of the country’s most influential Old Testament scholars, Walter Brueggemann, who now lives in Cincinnati. YES! Editor at Large Sarah van Gelder interviewed Brueggemann at the St. Timothy Episcopal Church in Cincinnati. Their conversation centered on religion, empire, the economy, and social justice. Sarah van Gelder: Let’s start with the Jubilee, because we actually just did an issue on debt at YES! Magazine. What is its potential, and how does it intersect with the church? 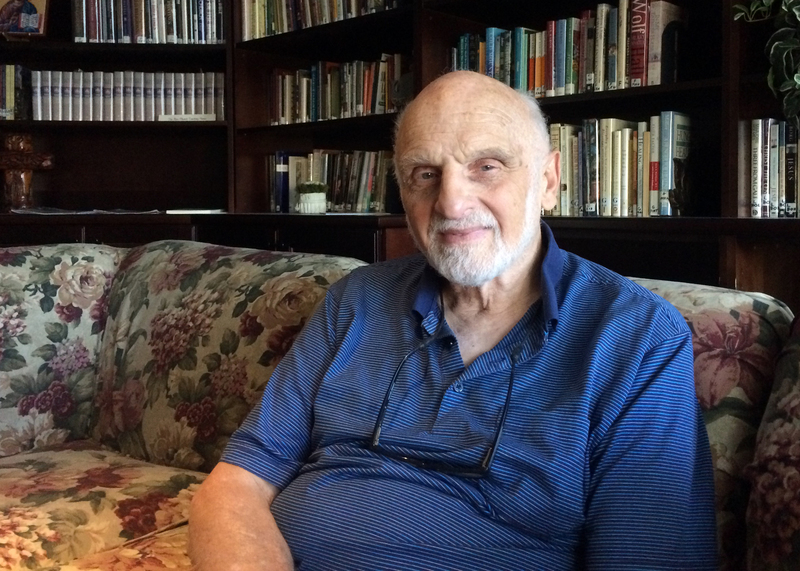 Walter Brueggemann: I think that the most radical teaching and energy for this kind of economic transformation probably comes out of the tradition of the church or the synagogue. We who live inside that tradition believe it is God’s will for the world. And I think the church, while it has all kinds of hang ups, does generate some people who have a passion for doing this. One of Peter Block’s big ideas is that if we could form credit arrangements that cut out the big banks, both the lenders and the borrowers would be much better off. The lenders would get better interest and the borrowers would pay less interest. Theologian Walter Brueggemann explains the “Jubilee” initiative to wipe out debts of Cincinnati’s poorest residents. van Gelder: What is the theological foundation for that? Brueggemann: I teach the Hebrew Bible, and I think the Torah traditions of neighborly justice permeate the Sinai tradition, which comes to its fullest expression in the seventh year of debt cancellation and the 50th of the Jubilee. At least in the Gospel of Luke, one can trace out that what Jesus really is doing in his ministry is performing the Jubilee year. He goes about inviting people to participate in the local economy differently, and out of that has come up a huge deep church tradition that is now culminating in Pope Francis, for example. van Gelder: How did Jesus carry that out as part of his teachings? Brueggemann: A strong piece of it is that he taught parables. Parables are very cagey teachings in which he invited his listeners to imagine a different kind of world. The best two known parables are the Good Samaritan and the Prodigal Son. The Good Samaritan is a tale about extending medical care by a Samaritan, who was a no-no for Jewish listeners. They were contaminated, dangerous people with whom you don’t want to have any contact. And the Prodigal Son narrative is about a son who violates all protocols of his father and his family and should have been kicked out but is welcomed back. Jesus’ teaching is matched by his ministry, in which it is attested that he preferred to spend his time with economic losers of all kinds. His feeding miracles, in which he generated food for the crowd in the wilderness, exhibit the fact that we do not live in a world of scarcity, we live in a world of abundance, and the real issue is how shall we administer the abundance. van Gelder: I’ve heard you use the term totalism describing pharaohs’ roles in the world. Is that the same as empire? Brueggemann: Yes, it is. Totalism is a word that I learned from Robert Lifton, and the difference between that word and the word empire is that empire makes you think of raw power; but totalism has to do with playing with your mind and controlling your imagination so that you become unable to imagine anything outside of this regime. Totalitarian regimes are always afraid of artists because artists are always violating the limits of what the totalism says is possible. Jesus insisted that there are many things that are possible that are not allowed by the Roman Empire, or any empire. Even the church itself is its own totalism. The church has a long history of silencing people who did not accept those boundaries. van Gelder: One of the things that struck me about several of your talks is you made these links between a sense of scarcity and anxiety, and then accumulation, monopoly, and violence. van Gelder: Could you give me one example of how you see that playing out in our society right now? Brueggemann: The gospel of greed. I think that our government is basically engaged in extracting resources from poor people and transferring them to rich people. Congressional actions, court rulings—I think that’s what we’re doing. And it is only the illusion of American exceptionalism that prevents people from being actively upset about that. American exceptionalism persuades people to believe that they can win the lottery, or they can succeed. Well, they can’t. But we have this illusion that keeps us all in place to support this terrible grab of life resources for the few against the many. van Gelder: How do you talk to a church-going audience about that? Brueggemann: Just that way. I try to stay very close to the biblical text because I think the biblical text makes that case. I think people are eager for those understandings, but they have not been well taught so it’s not an easy computation for many people, even those who resonate with it. van Gelder: How can you talk to people in a society that’s so convinced it’s not going to have enough? And in fact for most people who aren’t in the 1 percent there are ample reasons to believe that. Brueggemann: Well I just try to make the case that scarcity is not an economic reality, it is an ideological imposition. But it has been imposed on us for so long that we believe it is an accurate description of reality. And my conclusion is, not very scientific, that the people who have the most are the ones who are most convinced about scarcity. Because if you get with the lower-middle class, people are very generous, and they share. The statistics show that the higher up the economic ladder you go, the less generous people become because they think they’ve got to keep more for themselves. van Gelder: How do we create that felt sense of abundance so people can actually act out of that place instead of out of the scarcity mode? van Gelder: You talked about the need to lament, to feel and express grief, and the notion that “woe to,” that phrase in the Old Testament, is not an angry phrase, it’s a sadness. van Gelder: It seems that in or political discourse the negative emotion that is acceptable is pretty much just anger. Brueggemann: That’s right. But anger is a secondary emotion. Loss and woundedness are primary, and are usually below anger. So I think that the big lament that needs to take place in our society is the recognition that the way the world used to be, with white-male superiority, that’s over. And we are not going back to it no matter what Ted Cruz thinks. We are not going back to it! And to be able to relinquish that emotionally and imaginatively is a huge process for us. Until we generally talk about it, and almost physically release it, it will continue to commandeer us. van Gelder: Is that something that you see happening within a church setting? Brueggemann: Yes. The book of psalms is one-third lament. And, except for some nuns, the church has shunned those psalms. So we got one-third of the ancient hymnal that we don’t use because they’re not nice. van Gelder: So when you talk about grieving in the sense of letting go of white-male dominance, what are we grieving, and what is the opportunity embedded in that? Brueggemann: We are grieving the loss of privilege, entitlement, control. And the opportunity in relinquishing that is that I don’t have to use all of my energy in trying to maintain control that cannot be maintained. It requires a huge amount of denial. And all the energy that we use on denial, we cannot use proactively. van Gelder: On the race question, Cincinnati is remarkably segregated. I’ve been on a road trip for a few months; I still have a few months to go. I’m visiting cities that are likewise segregated, but Cincinnati strikes me as remarkably segregated. Brueggemann: Is that right. Have you been to St. Louis, yet? Brueggemann: That’s my hometown, I think it’s even worse. van Gelder: Where do you see potential? Especially because black folks and white folks both have so much in common in terms of a church history, do you see potential there? Brueggemann: I do. I met with some pastors in Chicago about a month ago, and they were lamenting the fact that all of the ecumenical structures for conversation across all these lines had just evaporated in Chicago. They’ve evaporated everywhere. People don’t have the resources or the energy. And so this little group of clergy was making a resolve that they were going to initiate some new black church-white church conversation. Now, you think about Chicago, that’s very modest, but it has to be done. van Gelder: There seems to be a way in which the most empire-focused institutions and societies also tend to be the ones that are the most anti-women. Every religion seems to have a side that is very comfortable with that empire mentality, and women, on that side of the religion, are treated very poorly. But the same religion will have another side to it, which is very accepting of women. Brueggemann: Well it is the contradiction that is shot through all of our social relationships. On the one hand it’s an expression of fear and anxiety that wants to keep control, and on the other side it’s the recognition that fear and anxiety are not really the way to organize society, that society has to be organized around trust and generosity and hospitality. I think that contradiction and that conflict just operate everywhere among us. Inside of us as well as among us. 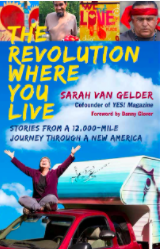 van Gelder: If you have somebody who is raised in that fear and scarcity mode, are there ways that a spiritual practice or community can help? van Gelder: What kind of influence do you think that Pope Francis will have outside the Catholic church? Brueggemann: Oh, I think huge. I think he has given legitimacy to people who already thought that way but thought it wasn’t the right way to be Christian. And I think he’s causing a lot of people to think again. I just think he’s modeling another way to be human. I think for young people that’s hugely important. van Gelder: He’s also said some rather negative things about global capitalism. van Gelder: If Jesus were incarnated today, what do you think he would be doing? Brueggemann: Oh, I think he would go around upsetting people by his offhand comments that called everything into question. He would be energizing people who want to try alternatives. THANK YOU to the two of you for this wonderful planting of seeds through your heart felt interview. YES! We were born at the time where we have one foot in the past paradigm, patriarchal experiment, now defunct. We also have one foot in this more compassionate Christ centered way of choosing to live our heart’s guidance.